The Supreme Court bench of Chief Justice Dipak Misra, Justice D. Y. Chandrachud and Justice A. M. Khanwilkar on Tuesday, in view of the proposed introduction of the Human DNA Profiling Bill in the upcoming Monsoon Session of the Parliament, disposed off a 2012 PIL instituted by NGO Lokniti Foundation seeking directions to address the issue of thousands of unclaimed dead bodies reported annually and for the maintenance of DNA profiles of the dead bodies, before their disposal, to aid in their identification by family members. On Tuesday, The bench was also informed that the Human DNA Profiling Bill has been amended in accordance with the Aadhaar scheme. Previous orders reveal that the Centre, through the then Additional Solicitor General, Neeraj Kishan Kaul, had made similar assurance to the Bench of Justices Dipak Misra and Prafulla C. Pant, when the matter was heard on January 19, 2015. Kaul had submitted to the bench then that “the Expert Committee has given certain suggestions and circulated the same at the appropriate quarters and there is a possibility that a Bill would be introduced in the Budget session”. He had suggested that the matter could be listed some time in the third week of April 2015. 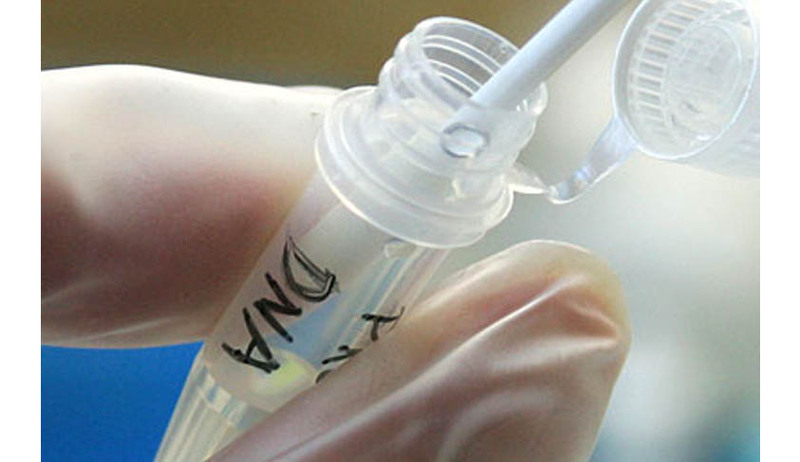 On September 22, 2014, the Department of Biotechnology of the Ministry of Science and Technology filed an affidavit in the case stating that it is piloting human DNA profiling Bill, the objective of which is to establish a National DNA Data Bank, a DNA Profiling Board and the use of DNA profiles for specified purposes and for matters connected therewith or incidental thereto. The 22.09.2014 order also carried the seminal features of the proposed Bill. The order refers to the bench’s request to Kaul to obtain instructions with regard to two aspects, pending the introduction of the Bill, namely, creation of a Data Bank in respect of dead persons who are not identifiable, and collection of DNA from siblings or others, when there are reports of missing persons, so that it can be matched with that of unidentified dead bodies. It is not clear what was the response of the Department to this suggestion. It may be noted the Law Commission had in July, 2017 submitted to the Department of Legal Affairs the new draft Bill titled ‘The DNA Based Technology (Use and Regulation) Bill of 2017’. The report claims to have “thoroughly examined” the draft of “The Use and Regulation of DNA-based Technology in Civil and Criminal Proceedings, Identification of Missing Persons and Human Remains Bill, 2016” forwarded to it by the Department of Biotechnology. “The Commission has taken into consideration the various aspects of DNA profiling and the absence of an appropriate regulatory mechanism for the use, retention and expunction of body substances, DNA samples and DNA profiles,” it explains. The Commission is understood to have opined that merely amending the Code of Criminal Procedure, 1973 may not serve the purpose sought to be achieved. “In view of the scope of the use and misuse of human DNA profiling, it has been felt that it is required to be regulated by a special law with well delineated standards, quality controls and quality assurance systems to ensure the credibility of the DNA testing, restricting it to the purposes laid down in the Act. Thus, there is a need to regulate the use of human DNA profiling through a standalone law of Parliament so that such use is appropriately regulated and restricted to lawful purposes only,” the report goes on to state. It further acknowledges that the question of Right to Privacy being a Fundamental Right is under consideration before the Supreme Court, and emphasizes on its endeavor to ensure that the provisions of the proposed Bill are in conformity with the constitutional provisions. Constitution of a DNA Profiling Board, a statutory body to undertake functions such as laying down procedures and standards to establish DNA laboratories and granting accreditation to such laboratories; and advising the concerned Ministries / Departments of the Central and State Governments on issues relating to DNA laboratories. The Board shall also be responsible to supervise, monitor, inspect and assess the laboratories. The Board will frame guidelines for training of the Police and other investigating agencies dealing with DNA related matters. Advising on all ethical and human rights issues relating to DNA testing in consonance with international guidelines will be another function of the Board. It will recommend research and development activities in DNA testing and related issues, etc. DNA profiling would be undertaken exclusively for identification of a person and would not be used to extract any other information. There shall be a National DNA Data Bank, and Regional DNA Data Banks for the States, to be established by the Central Government. The Data Banks will be responsible for storing DNA profiles received from the accredited laboratories and maintaining certain indices for various categories of data, like crime scene index, suspects’ index, offenders’ index, missing persons’ index and unknown deceased persons’ index. With a view to assist the kith and kin of missing persons, provisions have been made for proper identification of missing persons on the basis of their bodily samples/substances. Appropriate regulations may be notified by the Board for entry, retention and expunction of DNA profiles. Maintenance of strict confidentiality with regard to keeping of records of DNA profiles and their use. Sharing of DNA profiles with and by foreign Government or Government organisation or Government institutions or any of its agencies, for the purpose of this Act. The violators of the provisions would be liable for punishment of imprisonment, which may extend up to three years and also fine which may extend up to Rs.2 lakhs. The under trial may request the trial court for another DNA testing if s/he satisfies the court that the previous DNA sample(s)/bodily substance(s) stood contaminated and hence could not be relied upon. The DNA experts may be specified as Government Scientific Experts and be notified as such under clause (g) of sub-section (4) of section 293 of Cr. P.C.